Exploring options for your next event, or looking for a convenient drive-through bottle shop in Mildura? The Gateway is your leading choice, perfectly located not far from the iconic Murray River. Situated on the main thoroughfare in and out of the regional city we provide a great environment to sit back and experience some delicious food and drink. As well as our family bistro and Play Zone kid’s club area, we offer a range of different spaces for you to catch up with friends and family, to celebrate and relax. 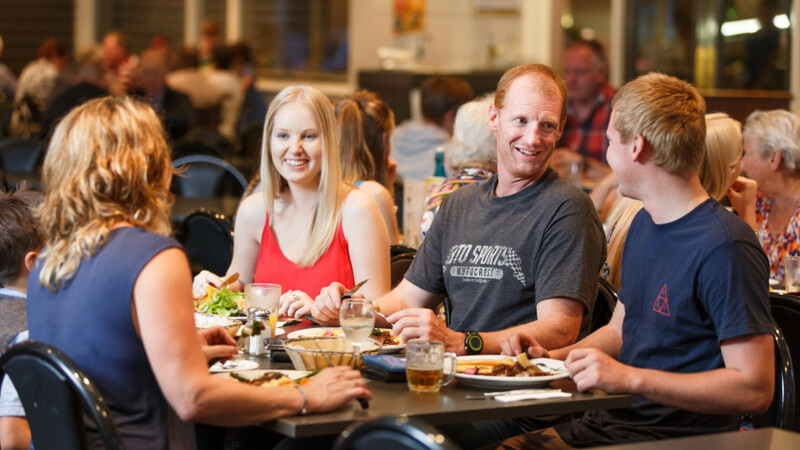 The Gateway Mildura is a popular family venue, with a generous community spirit and a warm welcome. It serves a fantastic selection of mouth-watering meals available for both lunch and dinner every day. Play a game of pool, place a bet or simply enjoy a cold beer with friends. The Gateway’s laidback sports bar gives you everything you need to while away the weekend days or pass the night away. Enjoy the massive television screen, perfect for sports, or eat from the full bistro menu. The choice is yours. Please Drink and Gamble responsibly. Questions? Contact one of our function or bar staff. Yes, we are open 365 days a year! Our on-site drive-through bottleshop gives you all the convenience of shopping for your favourite alcoholic drink without having to get out of your car. With fully stocked cabinets of exceptional beer, wine and spirits at competitive prices, you’re sure to find the bottle (or two!) you’re looking for. What’s more, we even take EFTPOS payments at your vehicle. Want to explore the range of options for yourself? Jump out of your car and browse the shelves and fridges. You’ll find shelves brimming with old favourites and new discoveries. For your next event, why not choose The Gateway? Our chef-developed menus and tastefully decorated interiors are sure to please, while our central proximity to Mildura’s town centre will be of benefit to all. We host a range of events, from business lunches and dinners, family gatherings and special celebrations including birthday parties and anniversaries. Enjoy our purpose-designed enclosed function space for up to 44 people or our grassed area on 15th Street plus we have the freshly updated dedicated outdoor smoking area. Each space offers its own unique ambience, and our dedicated staff will give you an experience to remember. It’s Free! Join up, become an instant member and be rewarded! The Gold Room is the Mildura Gateway’s own promotions room. Open until 3am, the Gold Room has its own bar and facilities.An outdoor ‘smokers’ area, heater panels and mist cooling system, making it a favourite year-round meeting spot. A Snack Menu is available from 11am to 9pm and we now have an all new Night Owl Menu from 9pm to 2.30am.